This is one of those stories where everything works. It is a masterpiece in crafting fear and tension without losing sight of the goal. 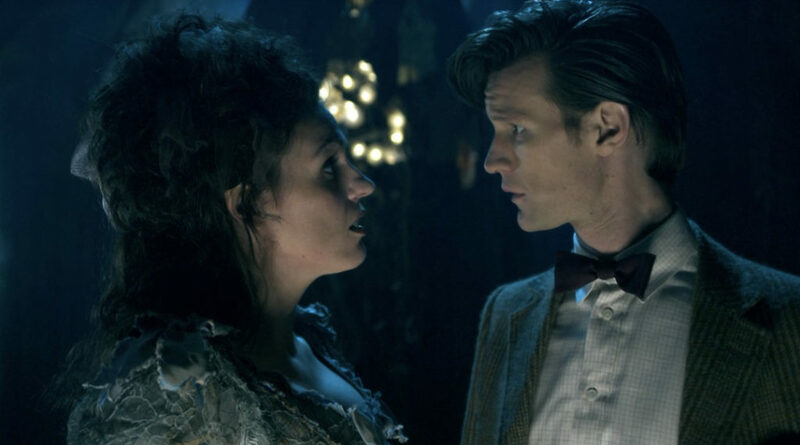 It is a story in which Amy’s faith in the Doctor is broken, callously and deliberately, so that she may move on. But it does so in a homage to Theseus’ encounter with the Minotaur – which itself inspired The Horns of Nimon, to which this story is a distant cousin – which takes its stylistic cues from The Shining. And it turns out to be glorious. Arguably the best thing about The God Complex – as I’ll tell anyone who’ll listen – is its sparing use of the monster. From the cold open – in which a chap in a gorilla costume terrorises a lone policewoman, leading to an oddly poetic demise – through to the frantic denouement, Nick Hurran leads the sort of merry dance where what we don’t see is just as effective as what we do see. The monster reveal shots in the hotel rooms are a jarring mixture of fast and slow. Jump cuts are abundant. The Minotaur stalks the hotel accompanied by lurid lighting and grotesque, Hammond-driven muzak. Crucially, the first time we even come close to seeing it properly, it is through a glass darkly. Part of the story’s success comes from its smorgasbord of characters, all of whom react in different ways: from David Walliams’ devious Gibbis (the physical resemblance to a rat cannot be a coincidence) to Amara Karan’s Rita, a strong contender for the greatest Doctor Who companion who never was. Rita is calm and logical without being soulless and it’s a shame, in a way, that her death sentence is sealed before it actually happens, when she agrees to go with the Doctor after the story is concluded – which, unless you’ve already been in all the publicity shoots, is the metaphorical equivalent of sleeping with Jack Bauer. Paradoxically, the fact that she dies before we get the chance to get sick of her is a brilliant summation of the story’s overall effectiveness: less is more, and pay no attention to anyone who tells you otherwise. Not just the highlight of Series 6, but one of the very finest adventures that New Who has to offer. For me, Series 6 was a bit all over the place. It was this season where the episodic and serialized plots didn’t balance well. This isn’t to say there weren’t great episodes; just that the season felt a bit off, when taken as a whole. The Doctor’s Wife, however, convinced me that all was right in the Whoniverse, and finally the Doctor’s longest lasting companion was given the opportunity to speak. Suranne Jones is fantastic as a TARDIS trapped in a humanoid body, with the inability to fully understand individuals who live in one-directional temporal existence. Uncle, Auntie, and Nephew provide equal parts comedic relief and an eerie sense of danger. And, viewers are treated to both previously unseen TARDIS corridors, the return of the Classic Who hypercube, and reveals about TARDISes and Time Lord regeneration played with subtlety and ease. The Doctor’s Wife is more than just Neil Gaiman meets Doctor Who. 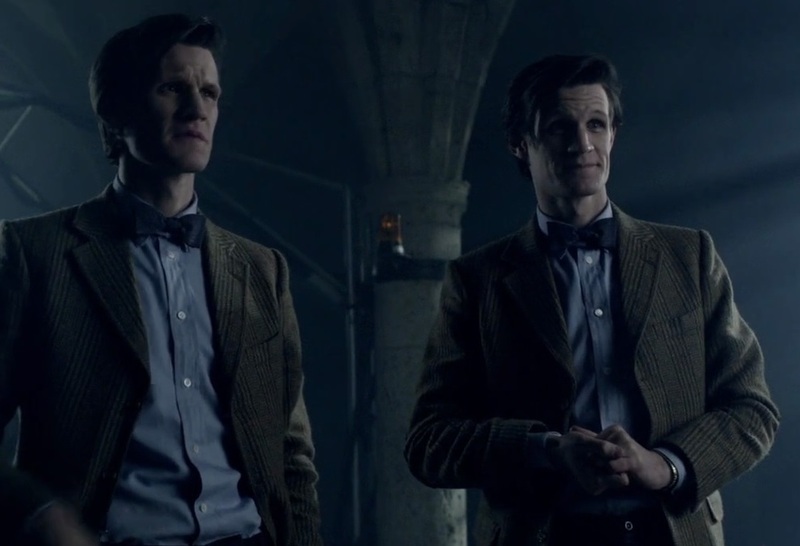 As the story progresses, it is clear that this is NuWho the way many of us hoped the revised series would originally progress: a combination of Science Fiction and Fantasy that is self-aware enough to laugh at itself, and bold enough to tell stories that develop and expand the overall mythology into something better than it was before. Being the last of the series, The Wedding of River Song ties everything up but it still so wacky in the process. All of time happening at once, finding out the answers to how the Doctor survived being shot by his wife, while his wife watched, while his best friend watched while pregnant with his wife… and then FINALLY the Doctor and River get married! Sort of. Maybe? 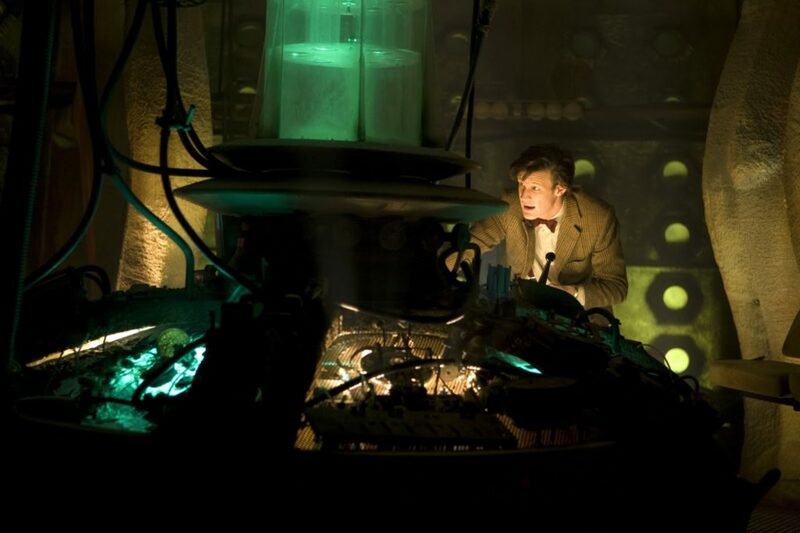 Series 6 is where it began to get complicated, at least for some. However, my choice for favourite episode is a pretty straightforward affair. The best for me would have to be The Girl Who Waited, which although adding more timey-wimey based story points into Series 6, it was also a finely written tale with some real emotional moments. 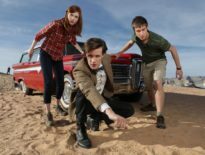 For me, the best emulation of the feeling of family Russell T. Davies seemed to be able to mix into the TARDIS crew with ease was Amy and Rory, who had some good dynamics and also the trio just seemed to be comfortable with each other. 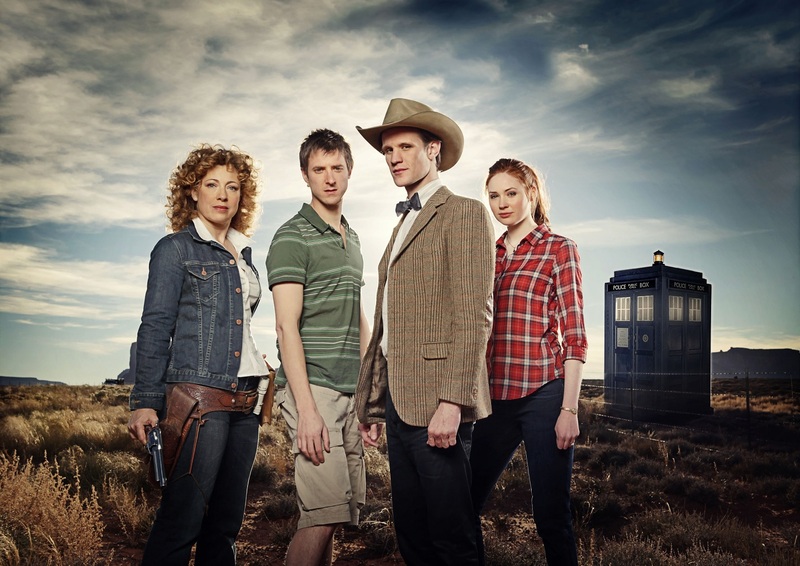 You could believe this group was casually out exploring time and space in a battered wooden box. This allowed for some real tension when that family is suddenly torn apart, even though they are just in the next room. Amy suddenly (from our perspective) turns old enough to most likely retire in this one due to some time slips and a couple of doors, and although most of it is pretty much standard ‘person left behind’ material, the ending sequence where the Doctor has to ‘kill’ the older Amy is one not often seen. It shows some of the real horrific effects that can occur if you go messing about with time. 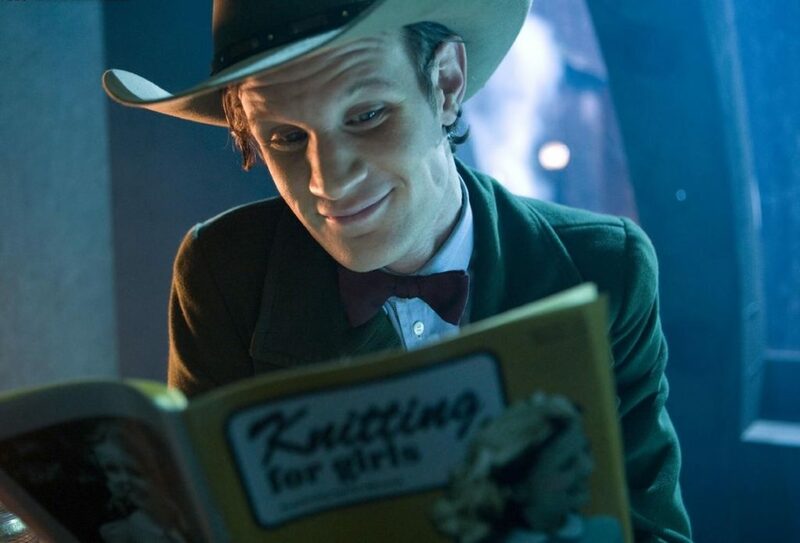 Ah, The Doctor’s Wife, oh where do I begin? Well let’s just say it’s written by Nail Gaiman so that’s a good start, and basically all you need to know. This love letter to fans of the show (even a console that appeared was designed in a Blue Peter competition) brings true heart and soul to the series. It’s a human story of love and how we become attached to inanimate objects (not as crazy as it sounds) as well as the “what ifs” of life without entering sugary sentiment or killing off Rory again (per se). Supported ably by Adrian Schiller and Elizabeth Berrington as patchwork beings, the story stands up to repeated views and is a landmark in quality that really still has to be matched. I was told by a friend that the reason people preferred two-part stories was purely because there is more time to create the world and explore its characters more complexly. Now I agree with that to a degree, but as we know, some people live more in 20 years than others do in 80. It’s not about the time. It’s the people or, in this case, the almost people. The Rebel Flesh and The Almost People together bring a fun romp of a Doctor Who story, whilst asking some very probing questions about the characters, their actions and ultimately the audience response to some of life’s most confounding questions. The concept of the Flesh as an entity is fascinating. This fully programmable matter has the ability to manipulate cells and replicate any living organism. In this instance, it is used as an advanced form of protection against the hazards of mining acid. The story begins when a freak solar flare overloads the islands main power circuits during a storm which disconnects the Gangers from their human counterparts. As the Doctor states, the problems arise because humans have blindly been piling their lives and personalities into the Flesh. Previously, the humans needed the Ganger form to complete dangerous tasks whilst the Ganger only existed because of human contact. Now that they no longer rely on one another, dependence turns to fear. The humans fear what the Gangers will do to them whilst the Gangers fear for their own safety, scared that their ultimate fate will lead to them being ‘decommissioned’ or ‘executed’ as Ganger Jennifer reminds us throughout the two-parter. This tension strengthens the rift between Gangers and humans until the harmonious ending where the human Cleaves and Ganger Dicken walk into the Morpeth Jetsan conference, ready to bring the events of recent times to light and move forward in the development and treatment of the Flesh. It is the tests that both the humans and the Gangers are put through to prove their humanity which really brings the story to a level beyond ordinary Doctor Who. Matthew Graham gives us the perspectives of the Gangers to the point where these supposed monsters actually garner more sympathy from me than the humans’ plight, consistently raising the question: ‘who are the real monsters?’ It is up to us as an audience to decide. Oh, this two-parter was sublime. It was everything that – – eh? Sorry, what? What do you mean, ‘it’s not a two-parter’?! Of course it is! 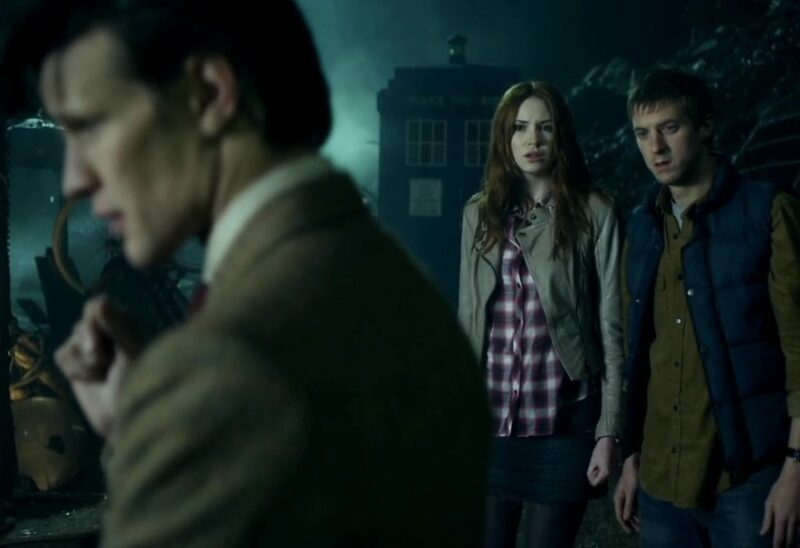 Sure, the sets and characters change, as do the writers, but to anyone who had been enchanted by Amy and Rory’s trips into time and space since The Eleventh Hour (2010), these two episodes were a gloriously-sad finale for My Favourite TARDIS Team (with Closing Time to The Angels Take Manhattan forming a fantastic extended epilogue). The tones are largely the same, even if the settings are poles apart. Both have this beautiful gravity to them. The universe isn’t in danger. They’re just deeply personal journeys that pay off Amy’s undying faith in her Raggedy Man (and actually, vice versa), her and Rory’s relationship, all that waiting, and Rory’s (sometimes unwilling) trips in the TARDIS. The acting from the main three stars has always been amazing, but here, they’re heart-breaking. Karen Gillan really does change when she’s supposed to be older – everything about her. Even her delivery of lines. Arthur Darvill changes too, his character given an intimate dilemma, the like of which he’s never faced before. Then in The God Complex, both portray the wisdom of their travels, but there’s something grim in the air. Something ominous. Something’s been waiting for them, all this time: a little girl, sat on her suitcase, waiting for her Doctor to return. That’s without mentioning the utterly astounding Minotaur or the sleek Handbots; fantastic guest cast in the latter tale; and stunning sets. Matt Smith, of course, is a brilliant chameleon; at one turn happy-go-lucky, at another severe and almost-guilty, with the weight of all time and space on his shoulders. Here’s the thing that convinces me that these two episodes basically form a two-parter: the endings. In The Girl Who Waited, when Amy wakes up and asks where her counterpart is, the Doctor gives them the saddest of looks, then wanders off, a terrible burden around his neck. Right there and then, he knows he has to give them up. And in The God Complex, we’re afforded a brief glimpse at the Doctor’s loneliness. That space-time ship has never felt so big. To top all this off, we get another listen of The Life and Death of Amy Pond, my favourite track that debuted in The Pandorica Opens (2010). In Blink (2007), Sally Sparrow claims that sad is happy for deep people, and here, you really understand what she means. Standing shoulder-to-shoulder with Blink for the combination of sheer inventiveness and heart, The Doctor’s Wife is the Best Thing we had in Series 6, and for much of NuWho. 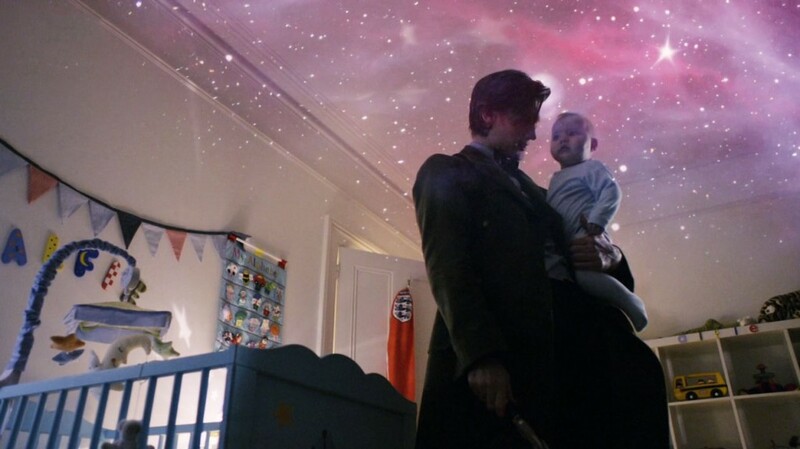 The ever-so-Gaiman idea of taking the TARDIS as a character and giving it/her a voice gave this story such presence and purpose, it just sings with love for the show and its history. The character of Idris and the casting of Suranne Jones were perfect – a maternal archetype with a time-sensitive absent mindedness. Of COURSE the TARDIS would think that Rory was the pretty one – we don’t know whether it thought he was just a looker or whether there was something pretty about his timeline, but all at once we know that the TARIDIS has opinions and feelings and about the “strays” the Doctor brings home and they are deeply personal and perhaps otherworldly at that. Or perhaps I’m not giving Rory the credit he’s due. 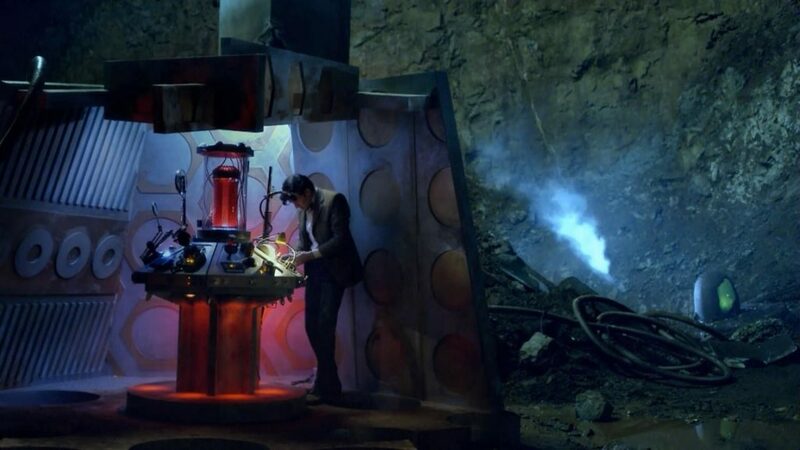 Anyway: The construction of a make-shift TARDIS console being piloted between universes by the Doctor and his personified-craft, saving his companions by materialising in a previous control room just-for-old-times-sake was pure fan love turned into a thrilling story. This is EXACTLY the kind of magical dream-like game I would have played with my Dapol figures back in the late ’80s but here it had a plot and a point. We got this and the wonderful image of the TARDIS remarking on how much bigger human beings are on the inside. Thank you Mr Gaiman, you put timey-wimey to one side and gave us what’s important in one glorious, lyrical love letter to Doctor Who. Bravo! Honestly, Series 6 is probably my least favourite series since Doctor Who returned in 2005. It’s weighed down by overly complicated plots (did anybody REALLY think the Doctor was going to get assassinated by someone in a spacesuit?) and episodes that really showed promise… and quickly broke that promise (The Curse of the Black Spot, Night Terrors). For my favourite episode of Series 6, I’m going to pick Closing Time. 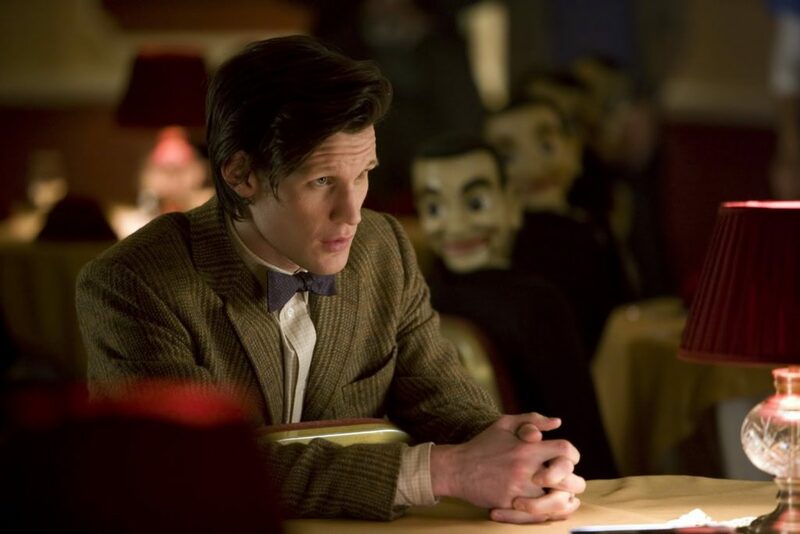 It’s not one of my favourite Doctor Who episodes ever, but it is the sequel to one: 2010’s The Lodger. And like most sequels, it’s not as good as the original. James Corden returns as Craig Owens, the best friend the Doctor ever had who wasn’t officially a companion. Corden and Matt Smith have great chemistry together, even if Closing Time‘s “The Cybermen are buried under a shopping mall” plot is a bit hard to buy. It’s too bad that Corden and Daisy Haggard (as Craig’s wife, Sophie) couldn’t have been invited back for one more go-round in Series 7 to make a complete trilogy. 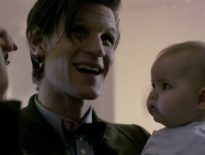 And who knew that Matt Smith’s greatest acting may just take place when his co-star is a baby (Stormageddon)?! Closing Time isn’t a great Doctor Who episode, but it is worth a look from time to time. 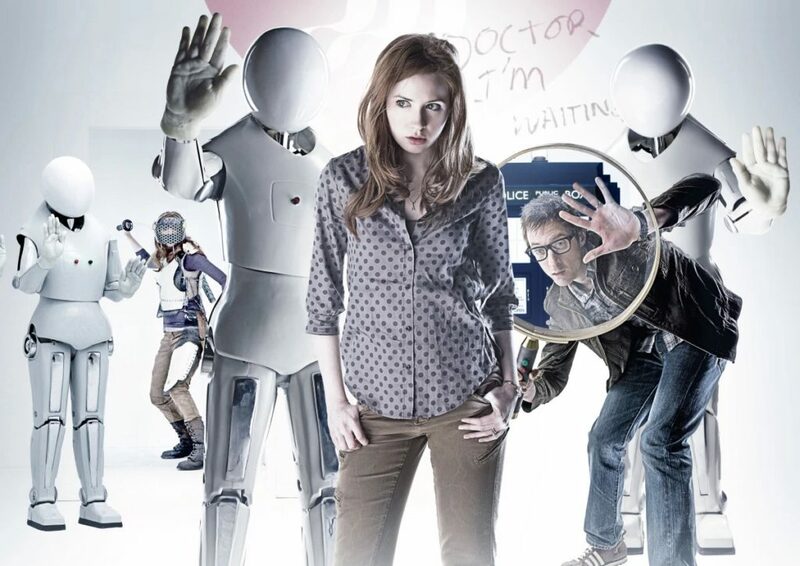 I have to confess that Series 6 wasn’t my favourite period of the show. Enough’s been said and written about the pros and cons of the ongoing River storyline, but for me the knowingly ironic tone became just a bit too much this series. But in this episode, the wisecracking was toned down, thankfully, and we got a beautifully constructed story which mirrored The Girl in the Fireplace in the way it explored just how badly things can go wrong when you spend your life mucking around in a time machine. Of course it’s The Doctor’s Wife. It’s not really a competition for this series and quite frankly, I expected my fellow occupants of DWC Towers to agree with me. Neil Gaiman worked on various drafts of this script for multiple series and it shows. There are so many ideas and concepts flying around in this episode yet none of them seem rushed or forced. Indeed one may wonder if Gaiman might have been the first person to suggest killing Rory, it certainly doesn’t seem feasible that he might otherwise entertain an unoriginal idea for this episode. With a mere handful of lines he manages to introduce the idea of transgender regenerations so casually that no one blinks and with a single line makes the Eleventh Doctor the scariest incarnation since the Seventh. But it’s Idris that steals the show. Granted, the TARDIS might have been in more episodes than any other character, but Suranne Jones’ performance is such that new life is breathed into the dynamic between Time Lord and TARDIS, no mean feat after nearly 50 years. Those are a few of our favourites from Series 6. But what about you, dear reader? 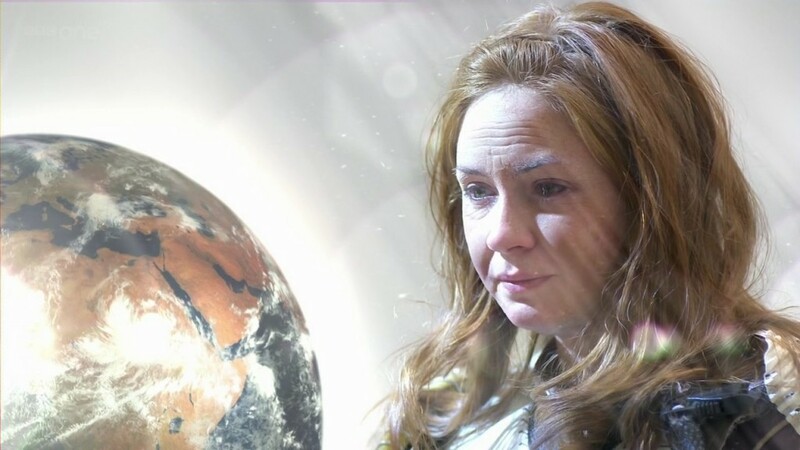 Which is your favourite storyline between The Impossible Astronaut and The Wedding of River Song?